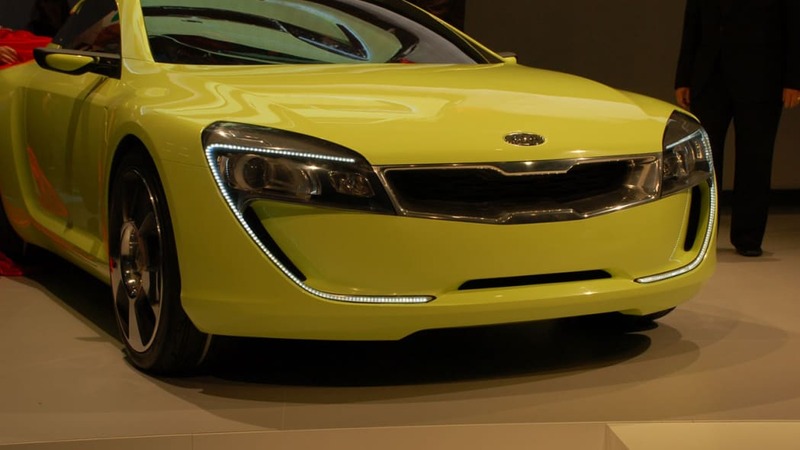 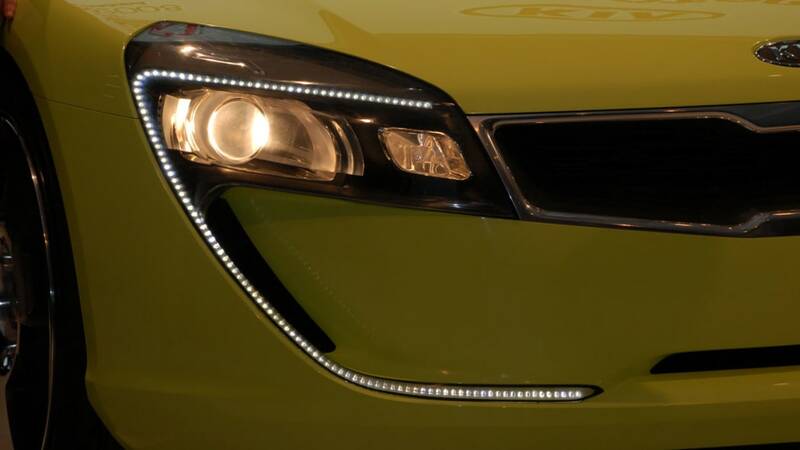 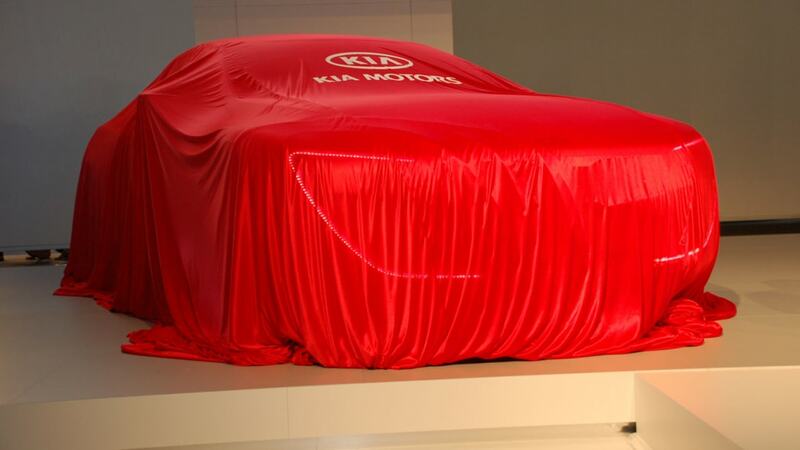 Click the image above for a host of high-res images of the Kia Kee. 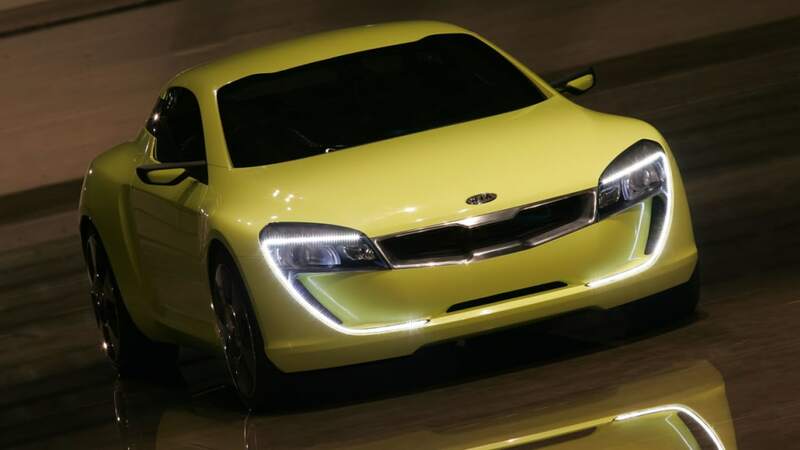 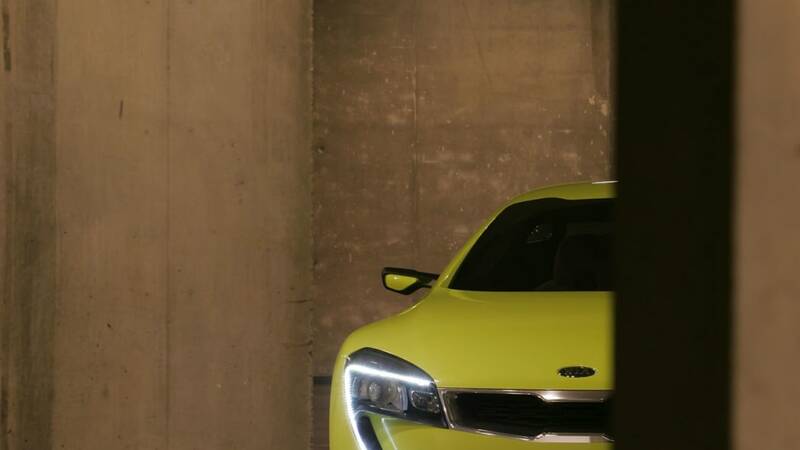 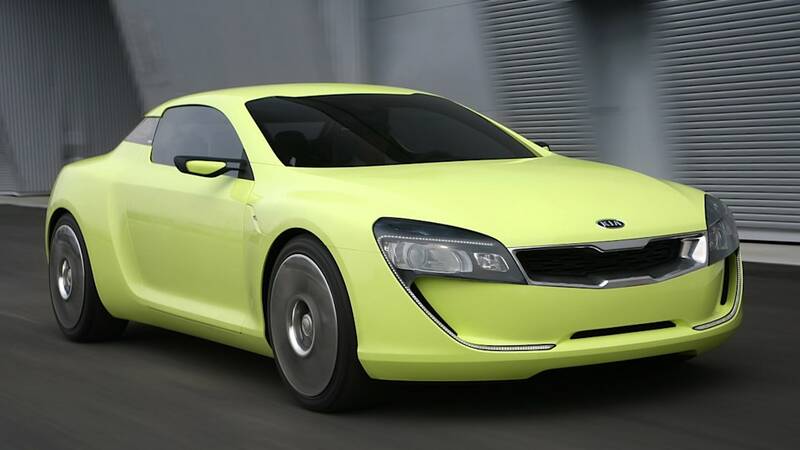 When we initially laid our eyes on the Kia KEE concept last year at the Frankfurt Motor Show, we were a bit underwhelmed, referring to the sporty coupe as "a Korean-sized speed bump at an otherwise awe-inspiring show." 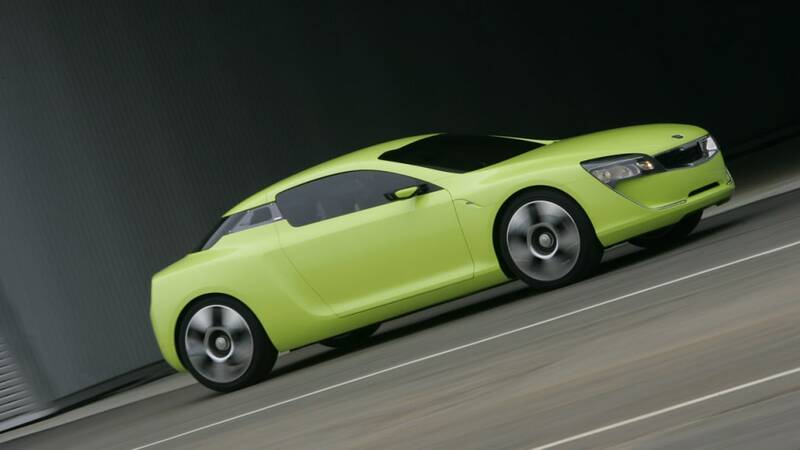 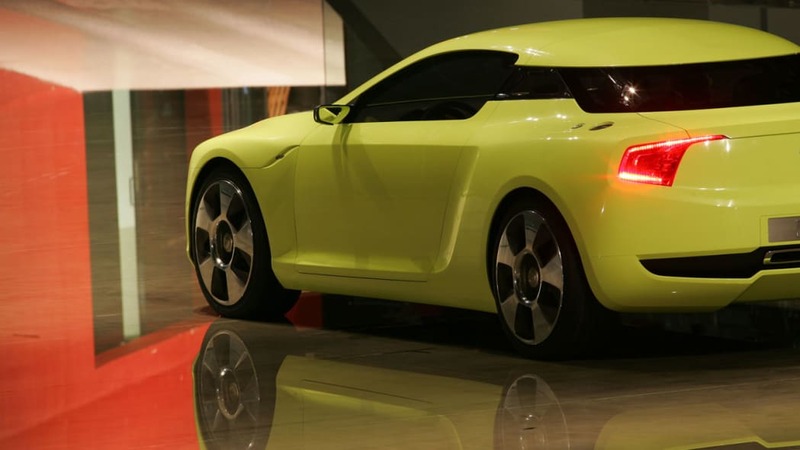 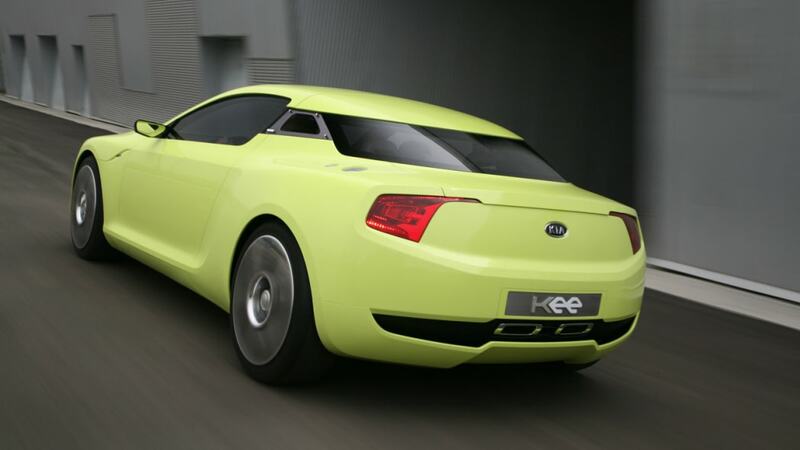 We would not say such things if Kia were to reintroduce the concept as the KEE_wii, which is rumored to be as powerful as two Gamecubes duct-taped together. 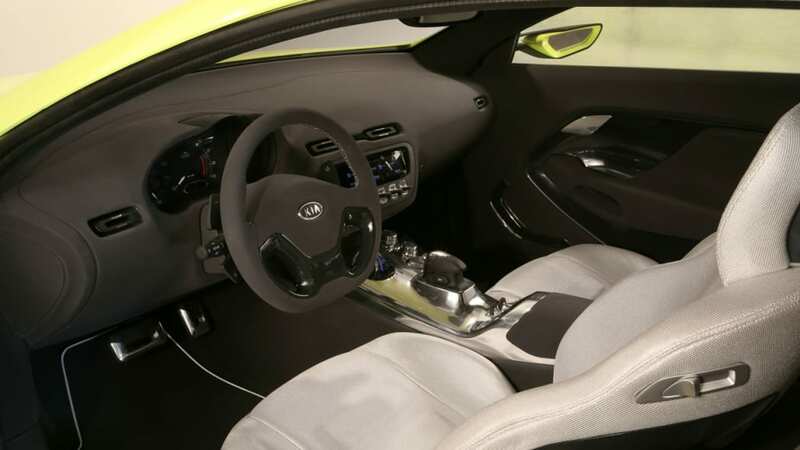 Be sure to read the press release, pasted after the break, which not only informs us that Kia demands driving entitlement for children as young as eight, but it also introduces us to a few future driving technologies, such as Dynamic On-Road Kinetics (DORK), Full Orthopedic Operating Logic (FOOL) and, of course, Independent Driver Input Operating Technique (IDIOT). 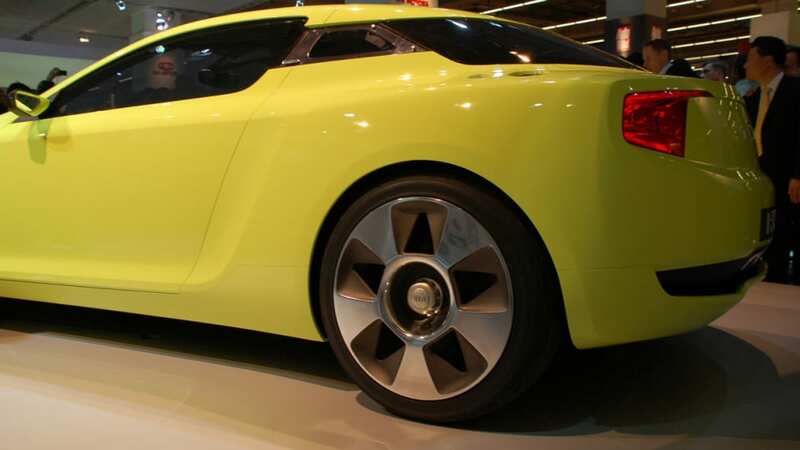 According to Franz Josef-Hicks, head of the Advanced Propulsion Research Institute and Laboratory (APRIL) in New Zealand, the radical new technology allows the ability to drive the vehicle from either side of the car as well as the back seat using a hand-held controller sourced from the Nintendo Wii, hence the car's name. 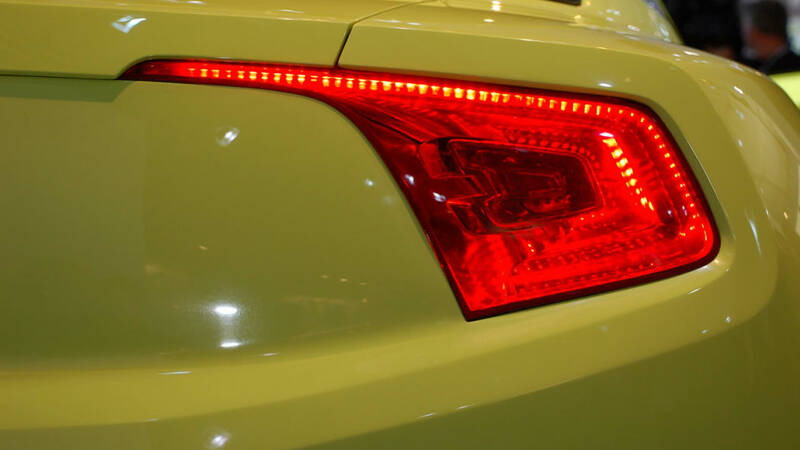 Citing the fact that many people don't pay attention when they are driving anyway, Hicks suggests that the lack of visibility from the back seat should not be a problem. 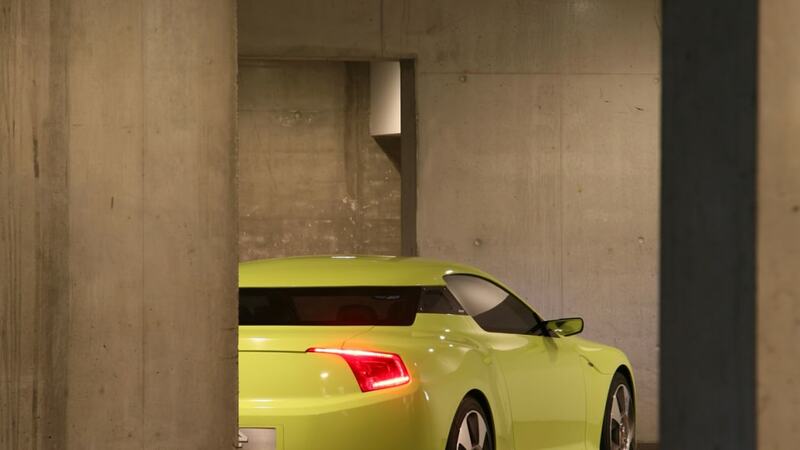 With logic like that, how could we disagree? 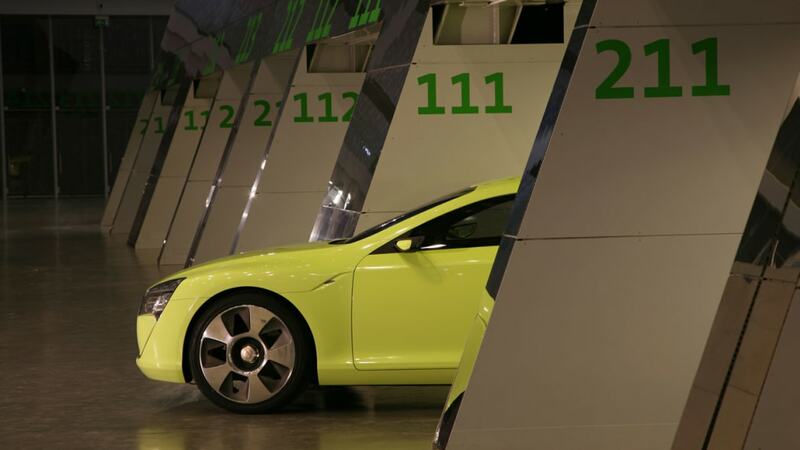 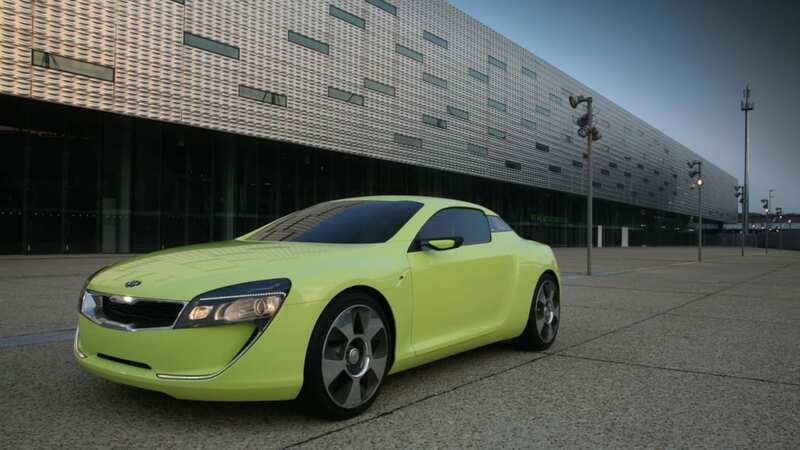 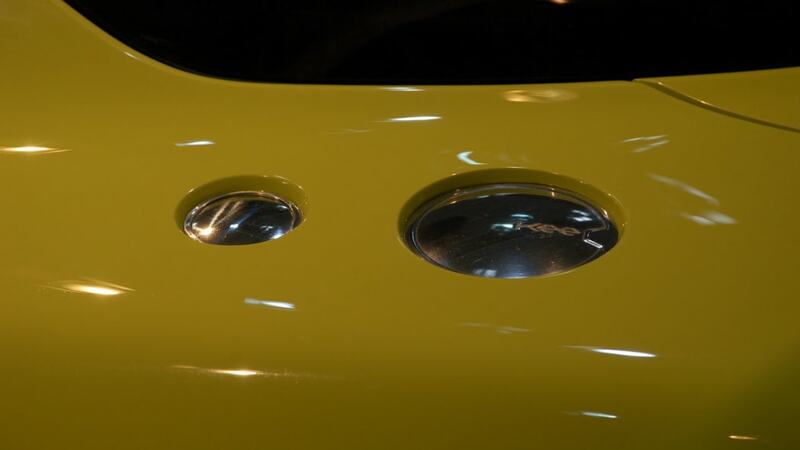 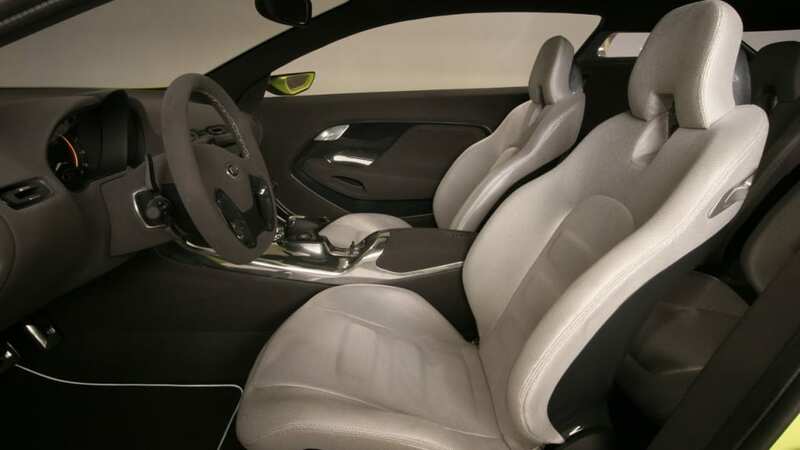 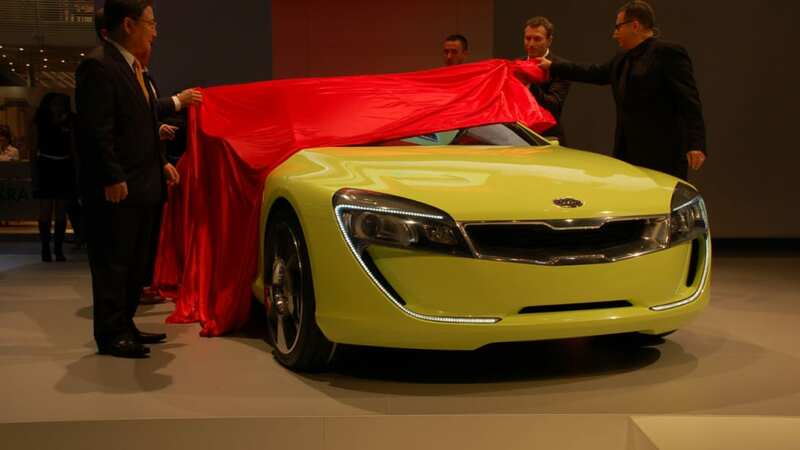 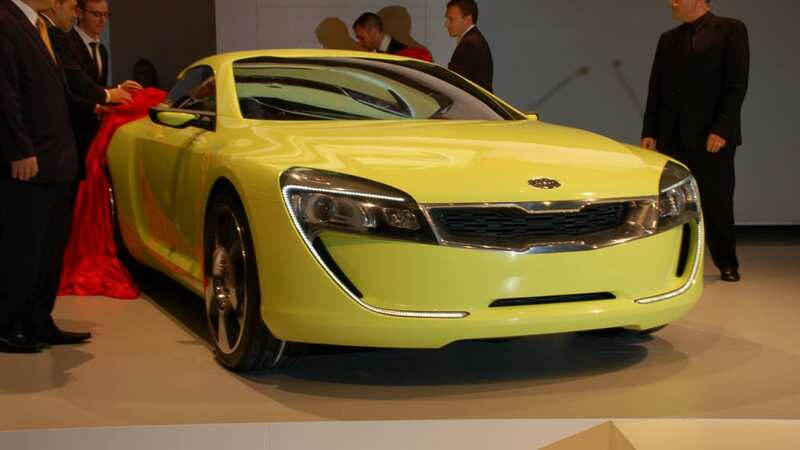 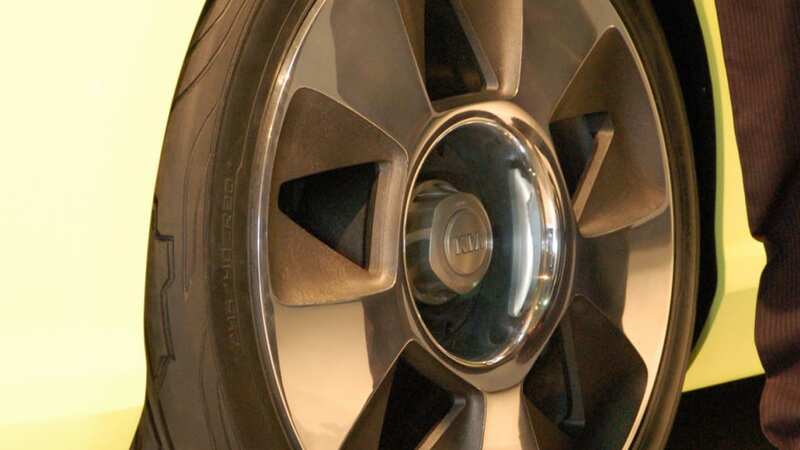 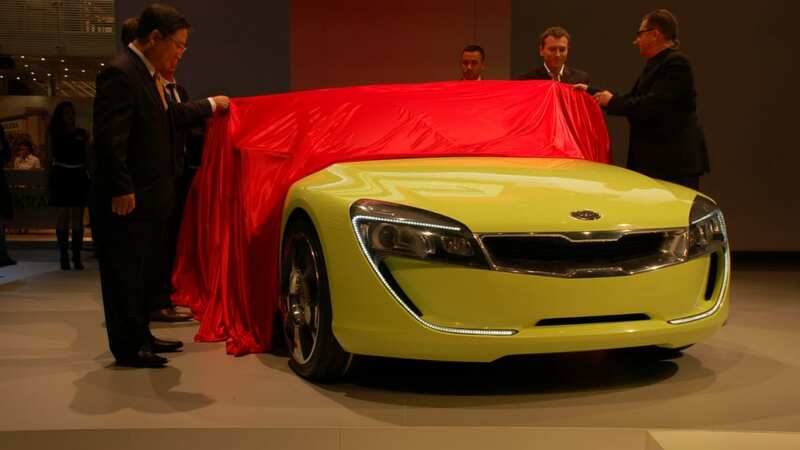 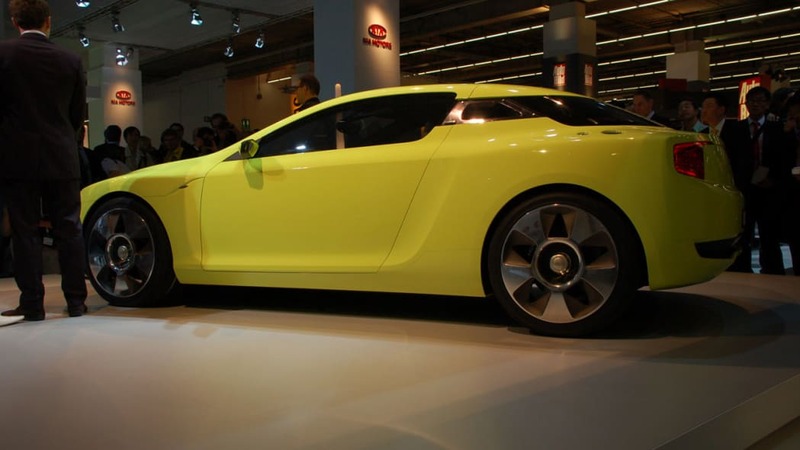 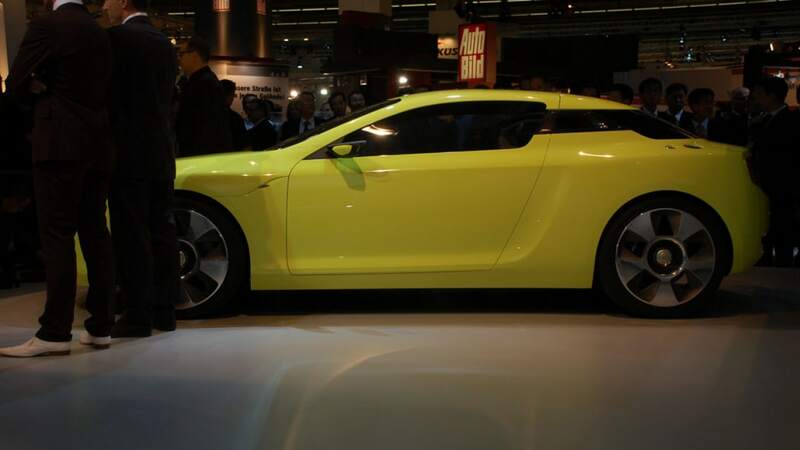 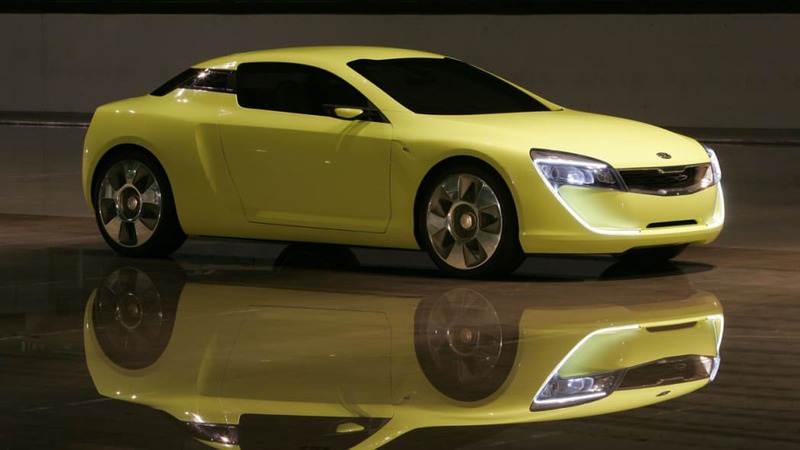 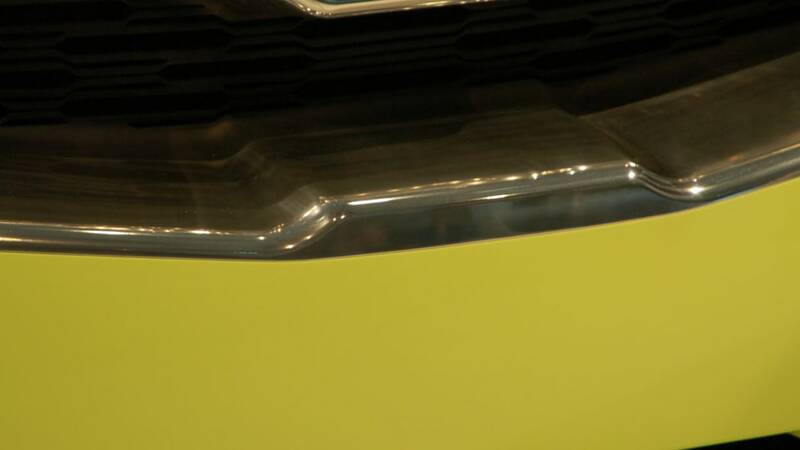 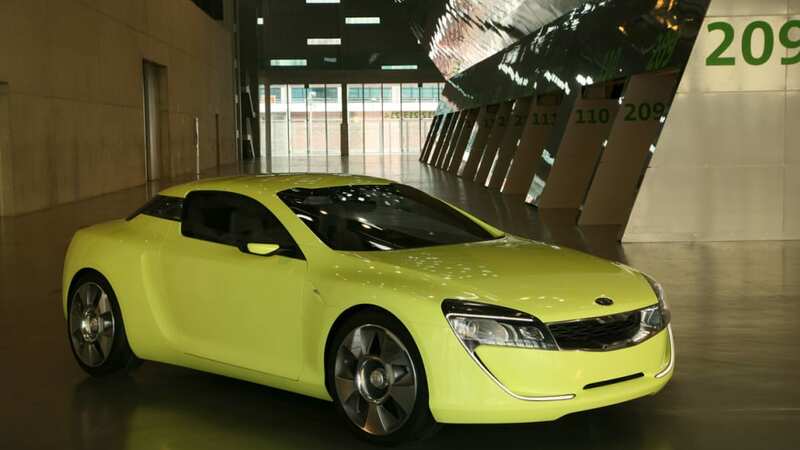 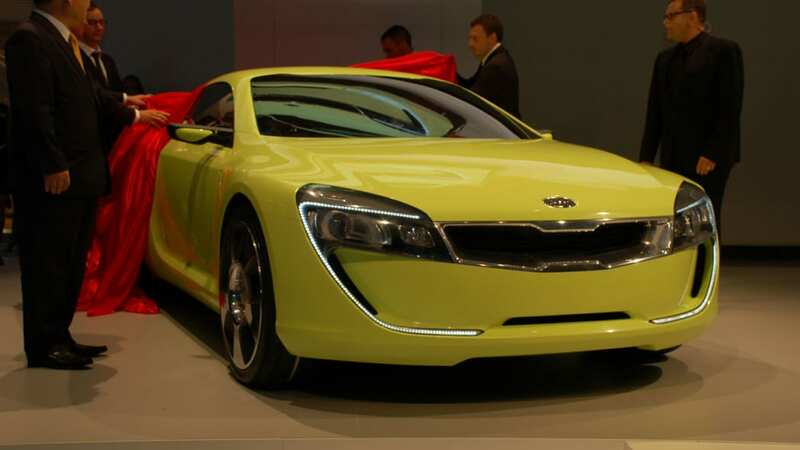 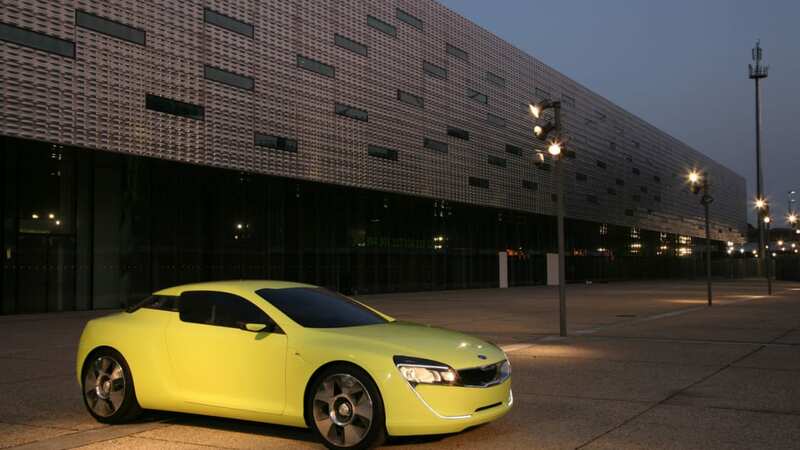 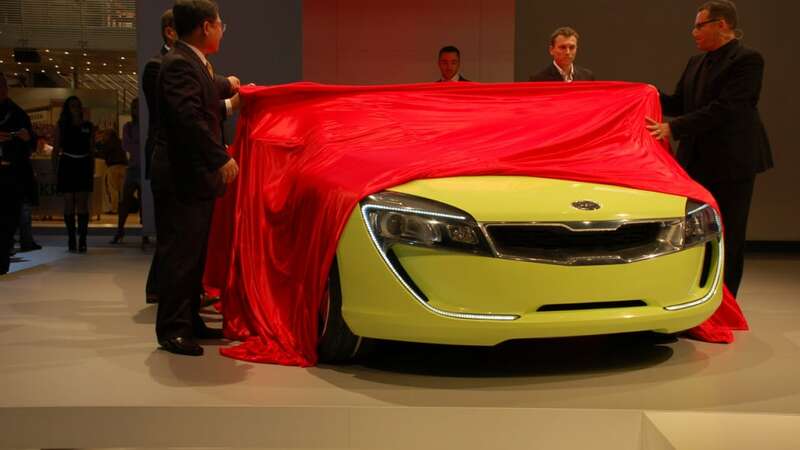 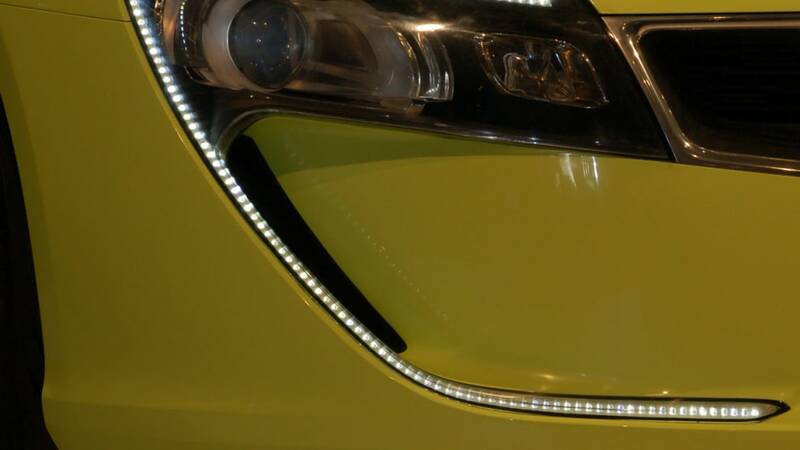 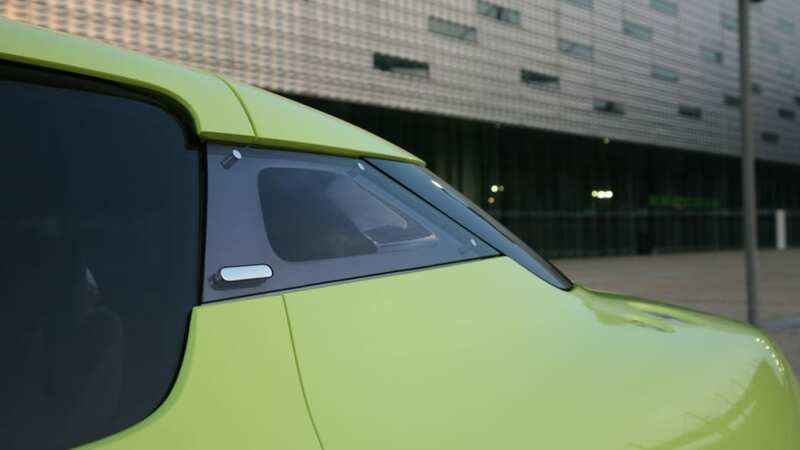 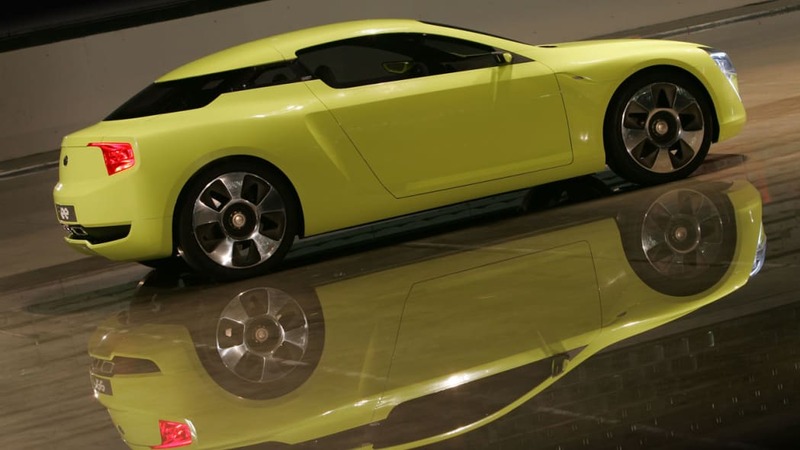 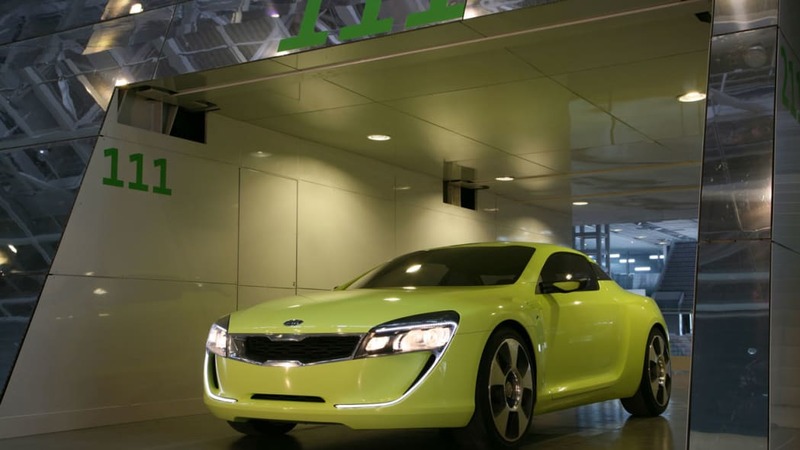 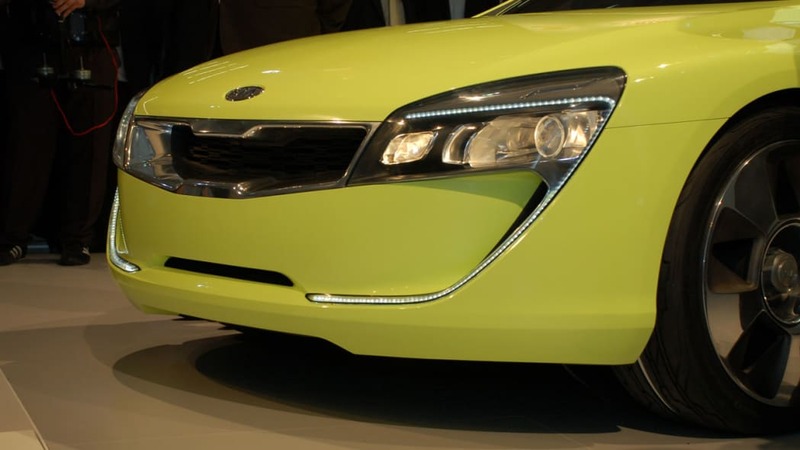 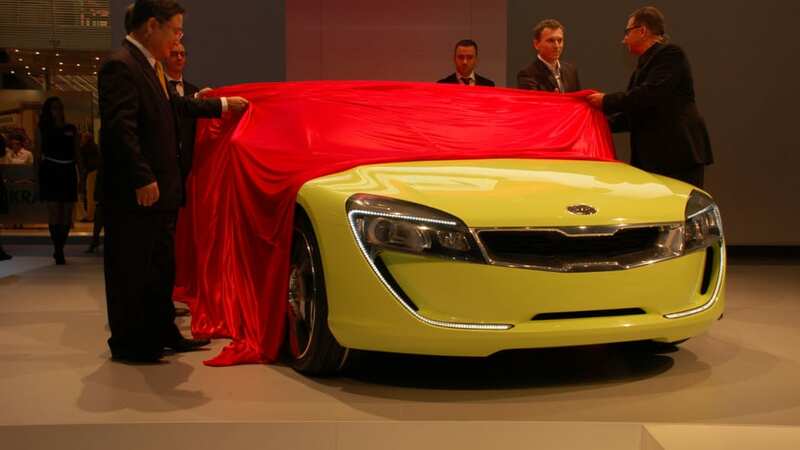 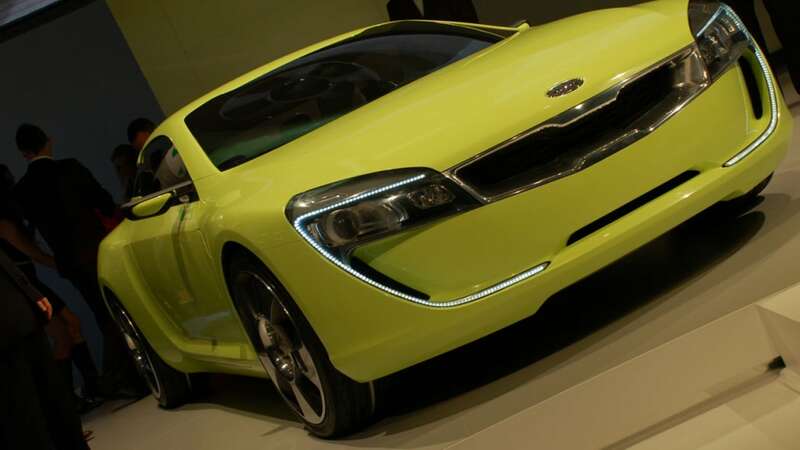 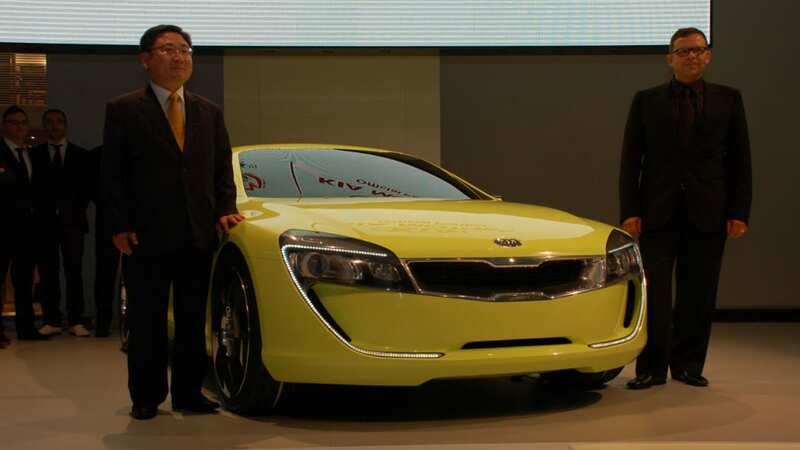 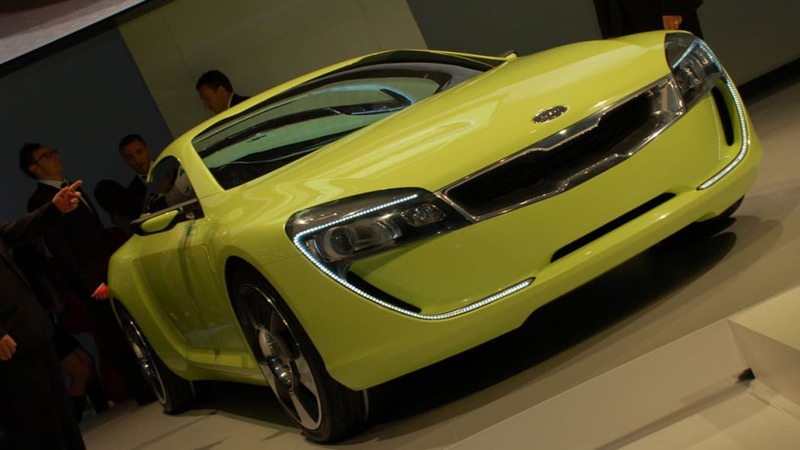 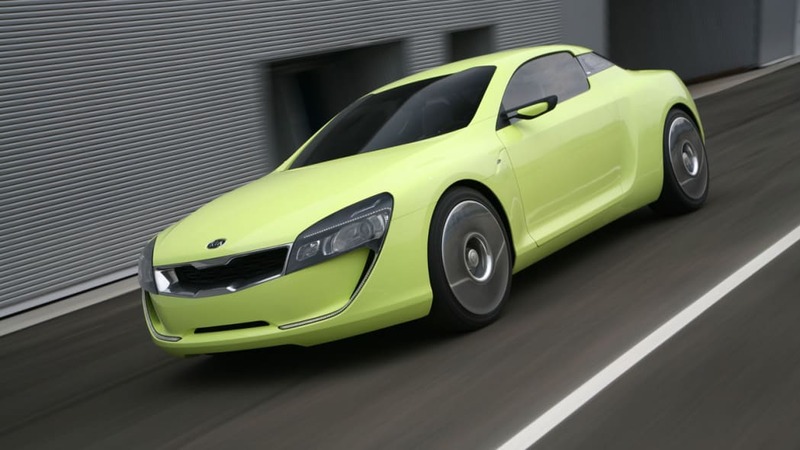 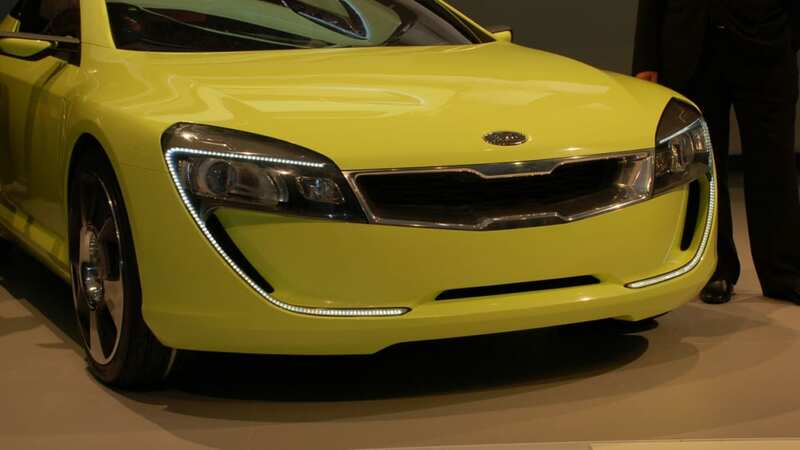 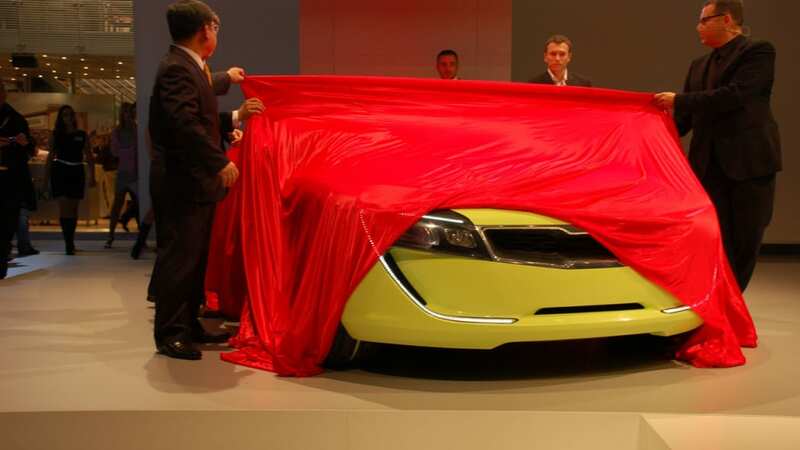 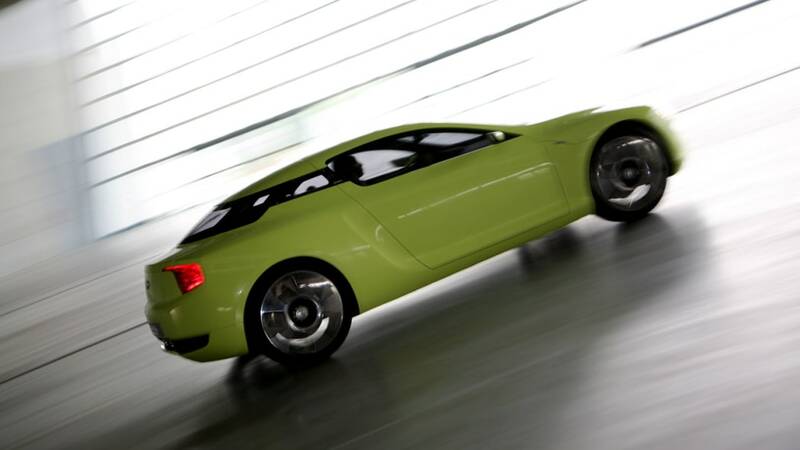 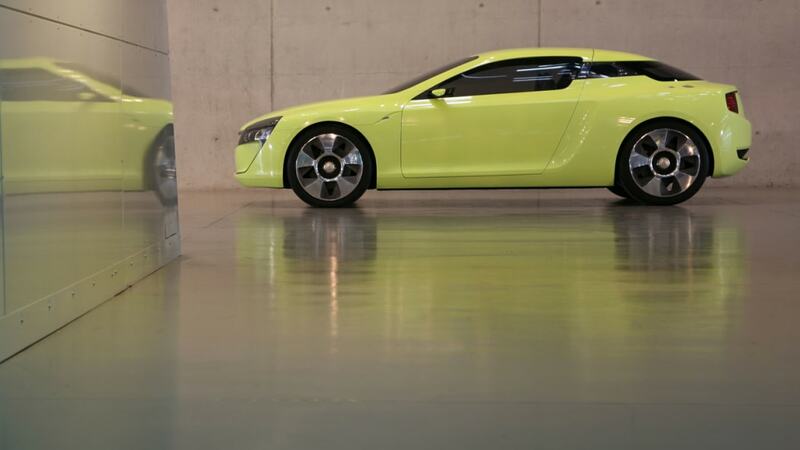 Kia expects that the first production application of this new technology should be ready on April 1, 2009. 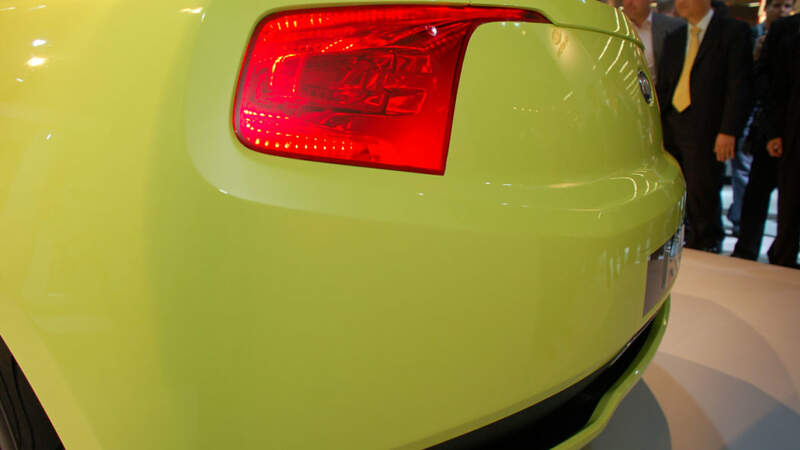 We can hardly wait. 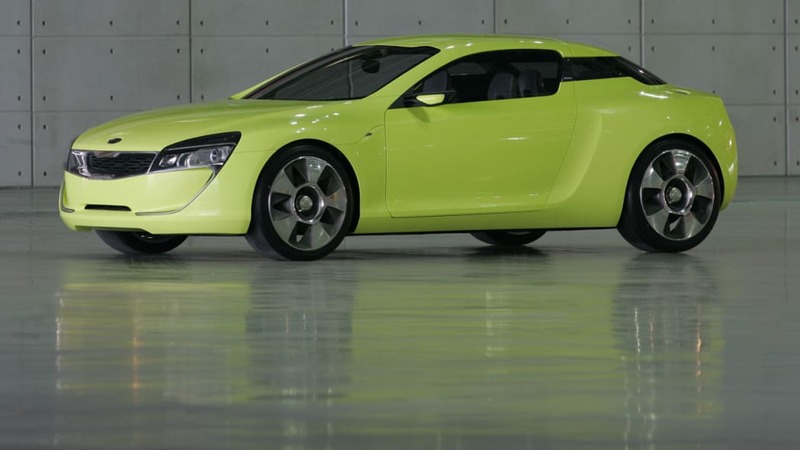 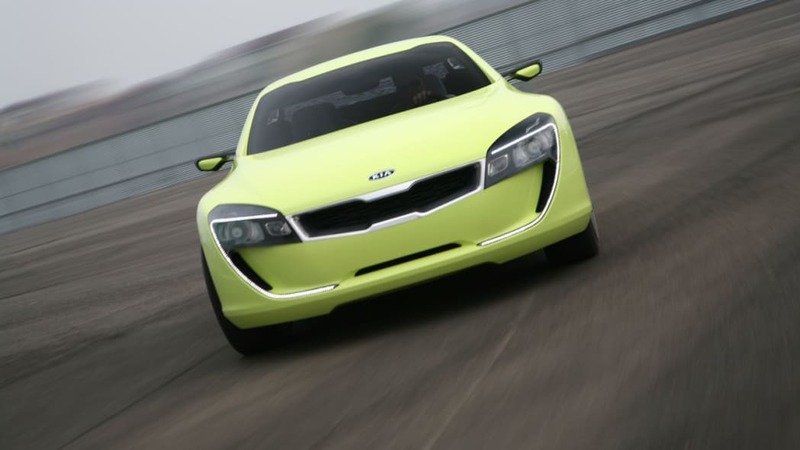 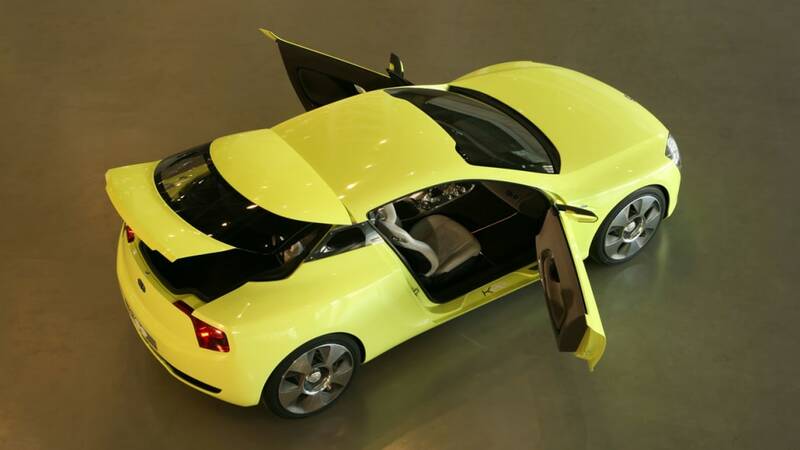 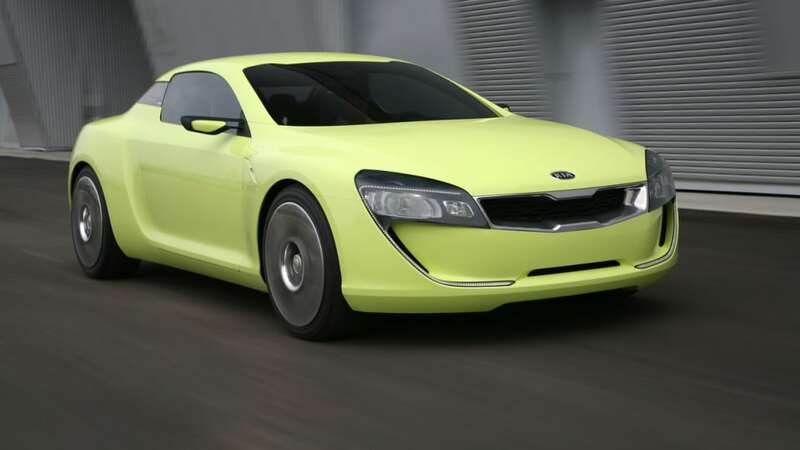 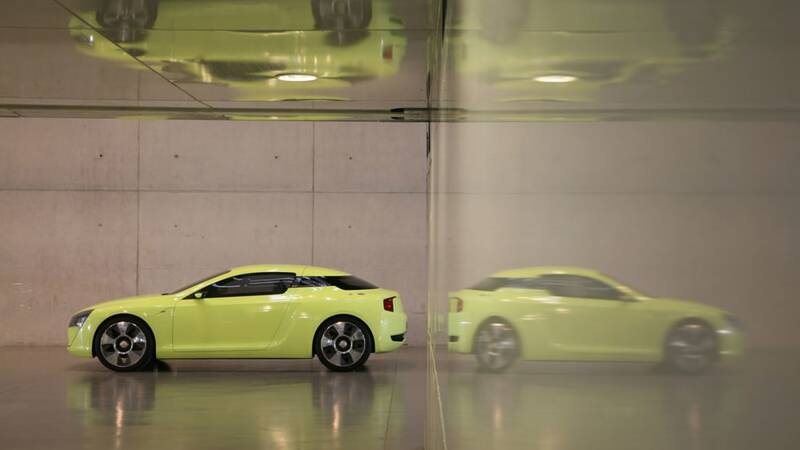 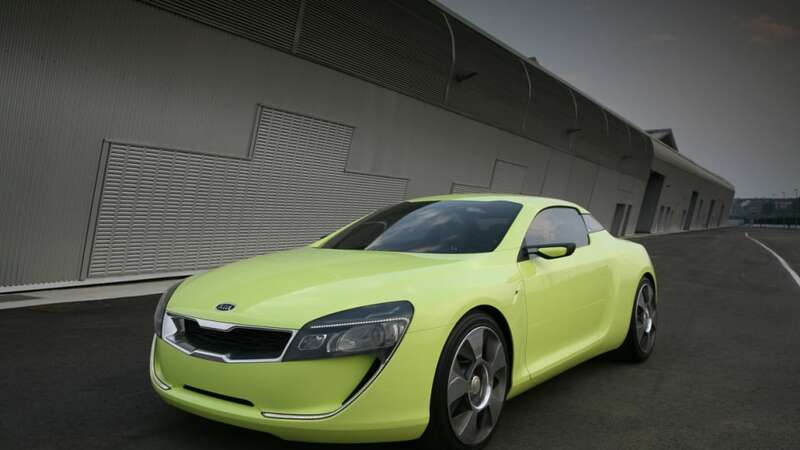 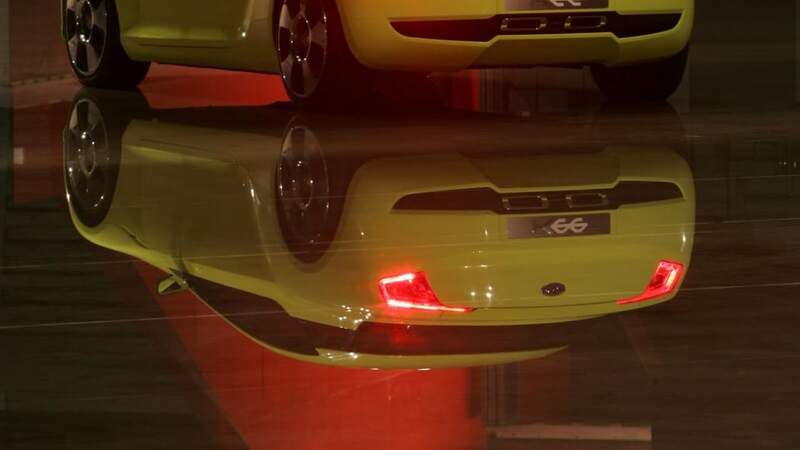 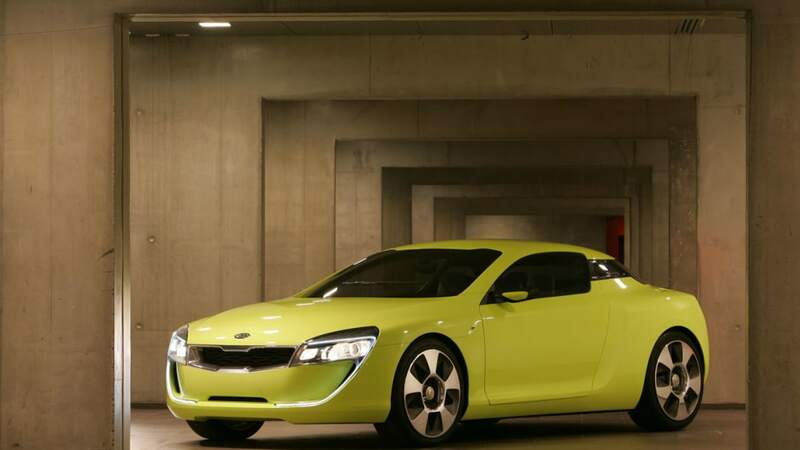 Kia Motors has announced a unique development of its Peter Schreyer-designed sports coupe concept – the KEE_wii. 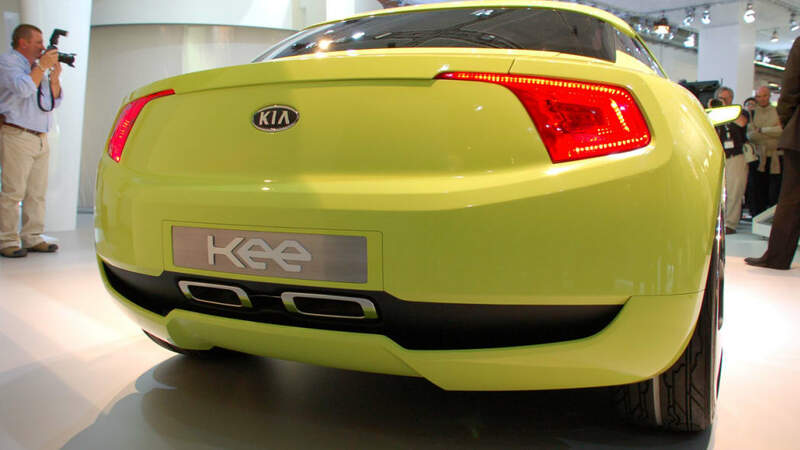 First seen at the Frankfurt Motor Show in September 2007, the KEE was a clear indication of the design direction of Kia product. 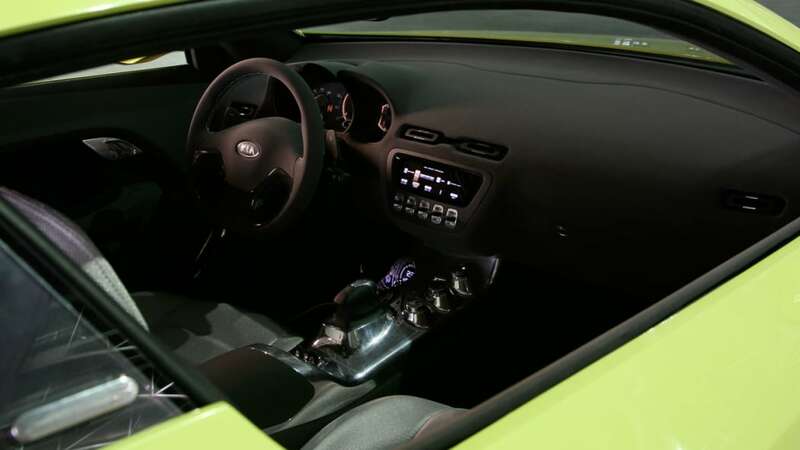 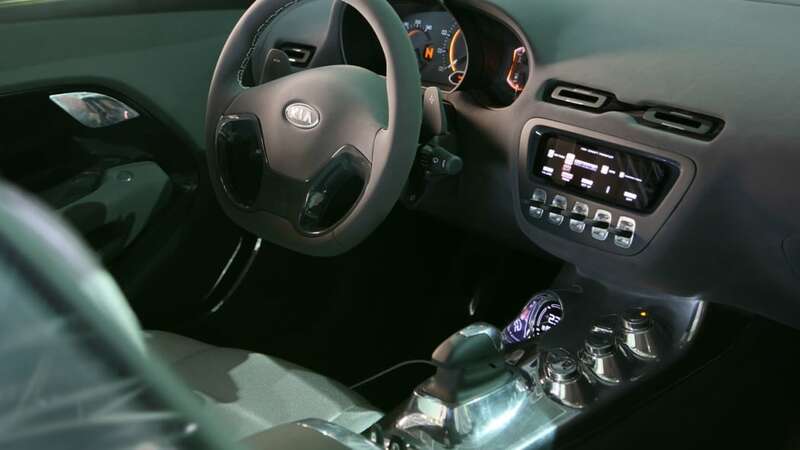 However, the latest upgrade to KEE will make sure it is one step ahead of the competition with a new, dynamic and more involving drive system that removes the need for a steering wheel and pedals. 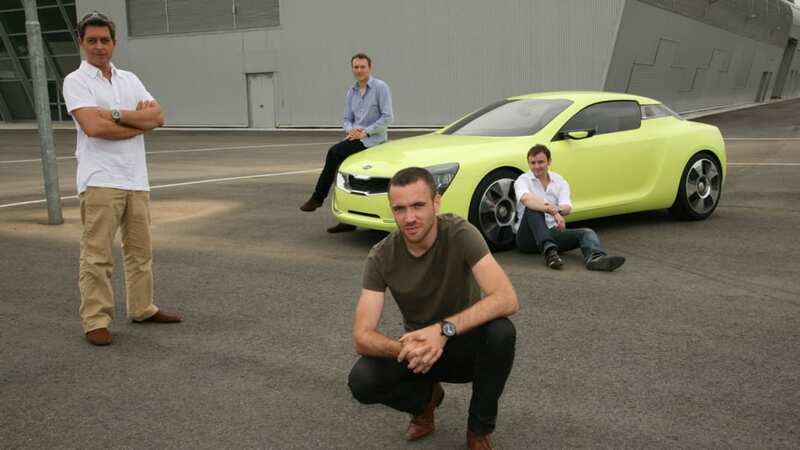 Franz Josef-Hicks, head of the Advanced Propulsion Research Institute and Laboratory at Kia Motors New Zealand, explained; 'We have taken inspiration from current computer gaming technology to create a completely new steering and pedal system called Dynamic On-Road Kinetics. 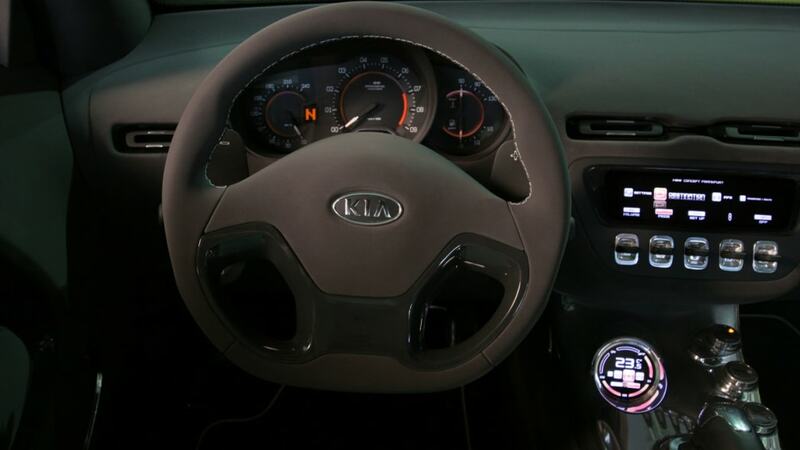 The traditional driving controls are replaced by a small 'controller' which fits comfortably into two hands. 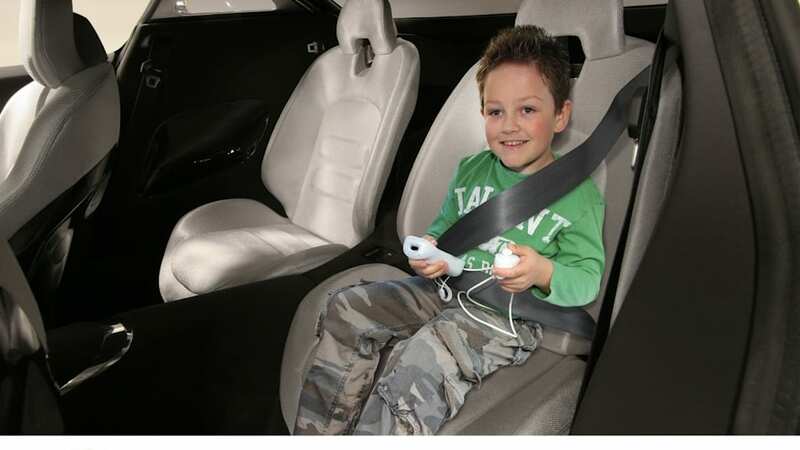 Making steering motions with the small controller will turn the car in whichever direction the driver likes whilst accelerator and brakes are button operated. 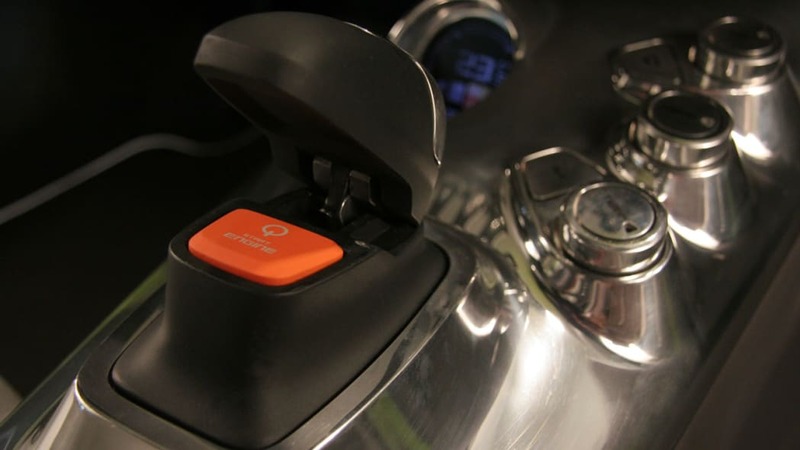 It is a very simple and intuitive system.' 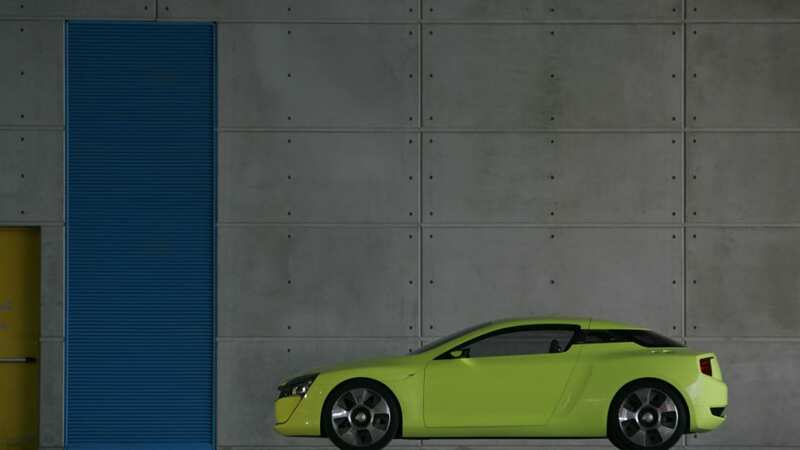 added Mr Josef-Hicks. 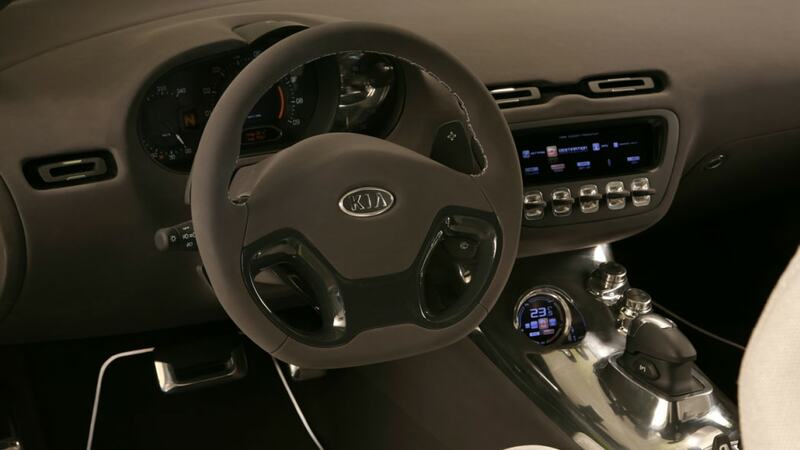 Kia believes there is an added advantage – passengers can take the controls and enjoy the dynamic drive of the KEE_wii from any seat in the car. 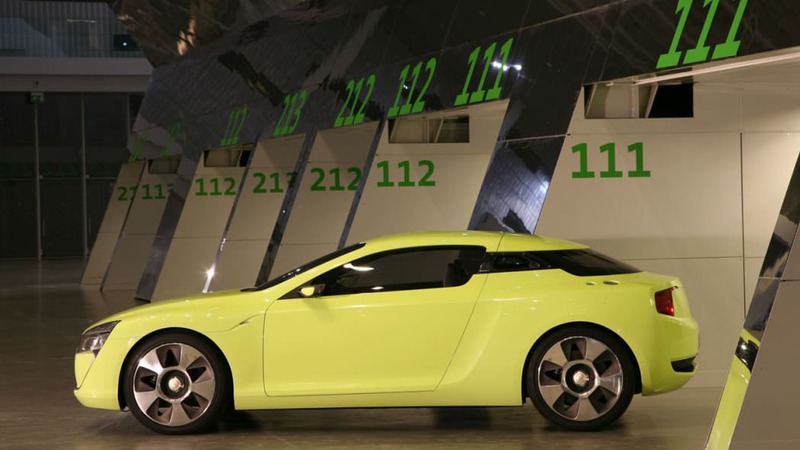 "This is ultimate flexibility," enthused Mr Josef-Hicks. 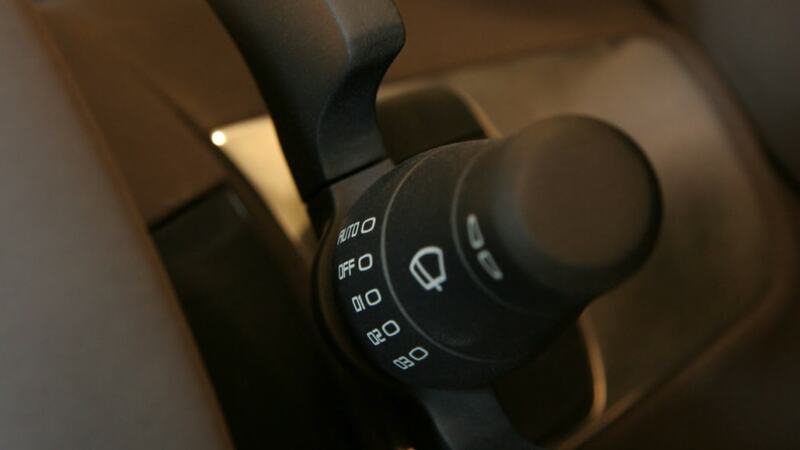 "If you are travelling in left or right-hand drive countries you will be able to control the vehicle from the correct seat and if a passenger knows a road particularly well they can take control and make the journey more efficient and faster. 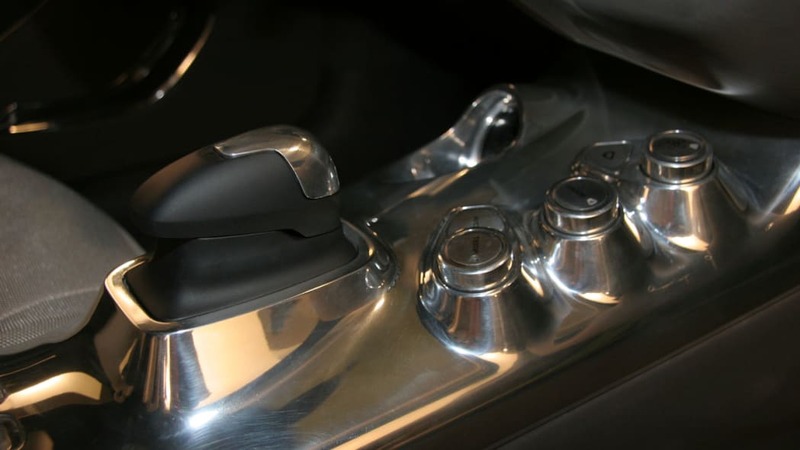 We have patented this newly developed wireless system known as Full Orthopaedic Operating Logic. 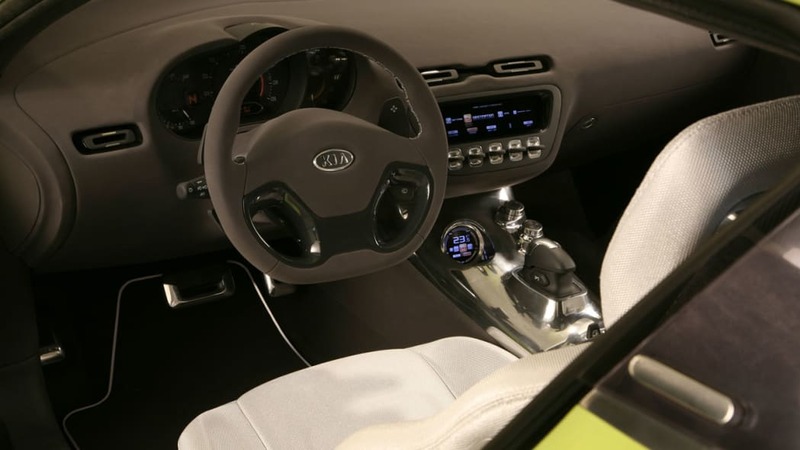 Okay, so visibility is a minor issue for those in the back seats, but we don't think this will be a problem as a lot of people don't really look where they are going when they drive – and we have built in a fail-safe security system called Independent Driver Input Operating Technique that utilises radar to avoid accidents." 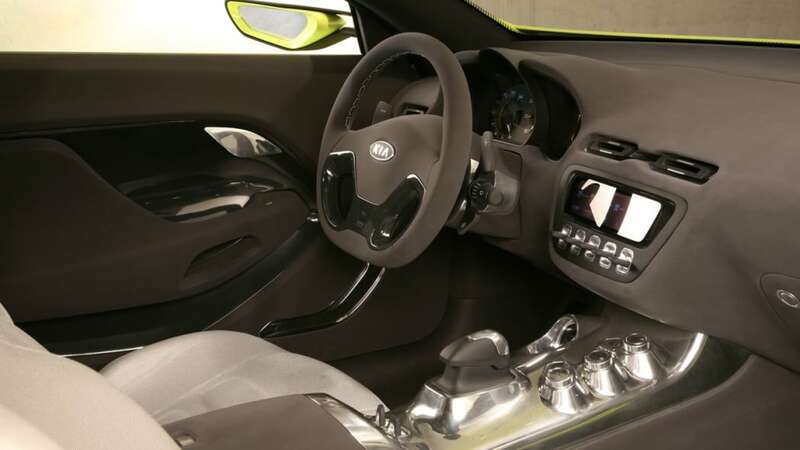 The KEE_wii dynamic control system will be available on new Kia cars a year from today and will then be optional on forthcoming generations of models as they are updated or replaced. 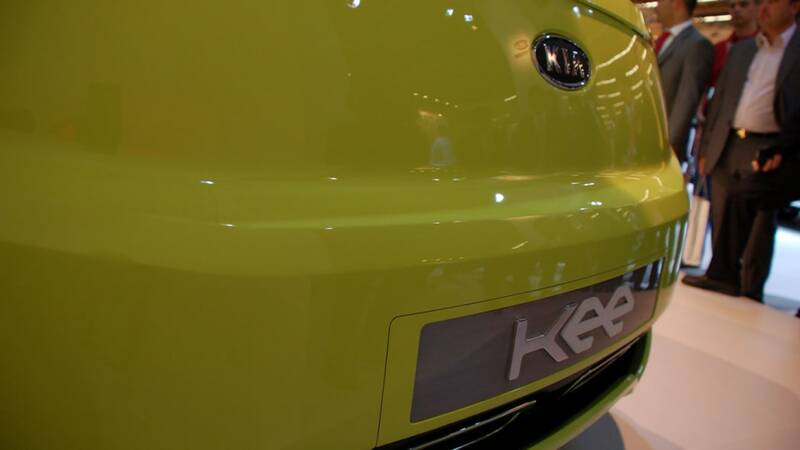 Alongside unveiling the updated KEE_wii, Kia also announced it plans to lobby governments to change driving test regulations. 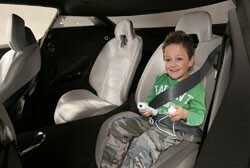 Mr Josef-Hicks added 'Every parent is embarrassed at the sharp and speedy computer driving skills of their children – it seems obvious to us that if children as young as eight can drift, rally and race their way to multiple world championships on a games console, then this new driving system will be simple enough for anyone to use. 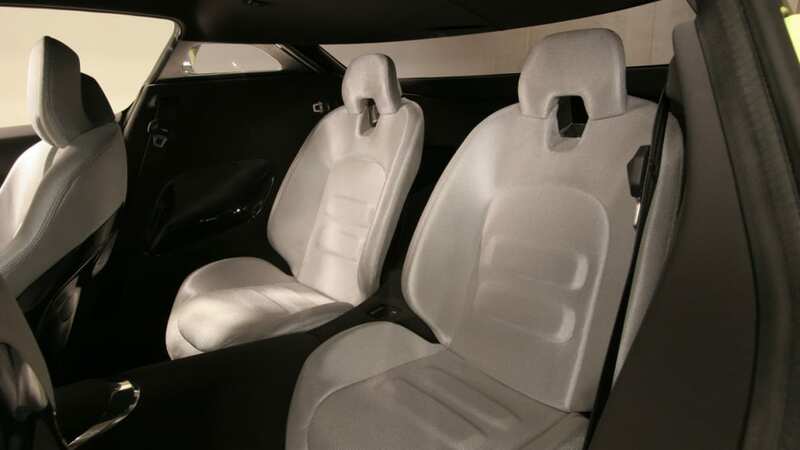 Even from the back seat. 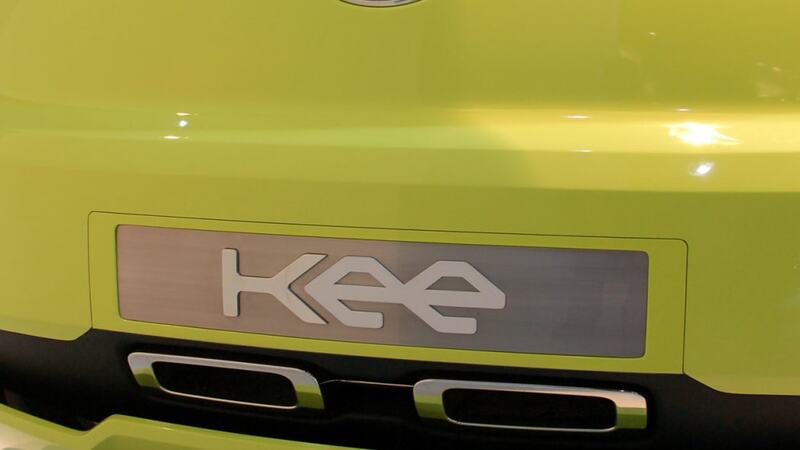 With this new KEE_wii driving system we want governments to consider changing real word driving tests for computer simulations'.